People want to extend their swim season. Swim spas are less expensive than getting an in-ground pool. The “minimalist” trend, combined with climbing property values, leads to smaller backyards in most modern neighborhoods. It takes less time and effort to maintain a swim spa versus a pool. People are more aware of their fitness and how important it is. A swim spa doubles as a hot tub for rehab and just relaxing! How can you be sure you’re getting the right swim spa? If your primary reason for buying a swim spa is fitness, look for a powerful swim current. If your main reason is to extend your swimming season, look for one with excellent insulation, a good cover system, and great energy efficiency. If your goal is more family time, look for a swim spa with generous room for everyone to kick back and relax. Knowing what your primary purposes for a swim spa will be helps you narrow down the plythora of choices available, as well as determining which extras are worth paying for. 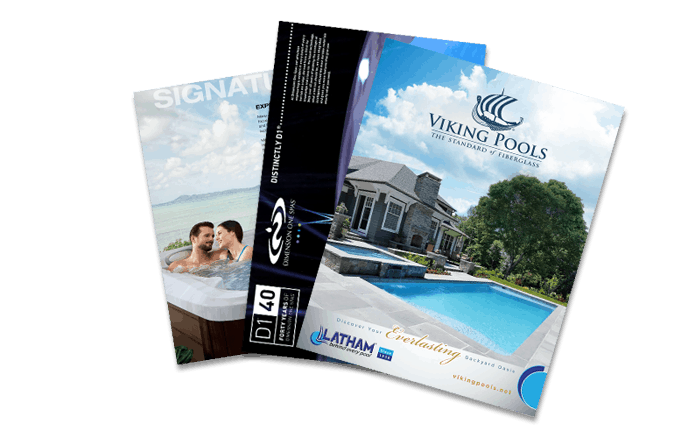 Things like size and depth may cost more up front, but if you invest in a swim spa with quality insulation and a solid, durable cover, it can bring your total ownership costs down significantly. Cheaper spas save up front, but cost you over time in terms of maintenance, repairs, and of course, energy expenditures. Literally, saving $5,000 now can cost you $10,000 over the life of the spa. There are things other than insulation that contribute to cost of ownership that you’ll need to consider, including the size and efficiency of the pumps and heater. Most manufacturers release information about operation costs over the life of their products, so check those numbers when shopping around. How can you save money when buying a swim spa? Since dealerships are pretty competitive, most swim spa dealers offer pretty good prices year-round, as well as special deals around various holidays through the year. Year-end closeout sales are another great way to save, as are buying floor models. It’s important to note that, while reputable local dealers often hold “tent events” and “spa shows,” the traveling spa shows that aren’t related to a local dealership do have potential problems. Shows that aren’t backed by local dealers, at best, offer no local service or support if there’s a problem. These dealers don’t help you with delivery and setup, which is considerable for a swim spa, which has specific requirements in terms of weight-bearing support, electrical hookups, etc. Finally, and we hate to say it, some of these traveling shows are simply run by disreputable folks. Enough said. If you want to attend a show to find a good deal — great! Just be sure it’s backed by local swim spa dealers that you can find in your hometown phone book.